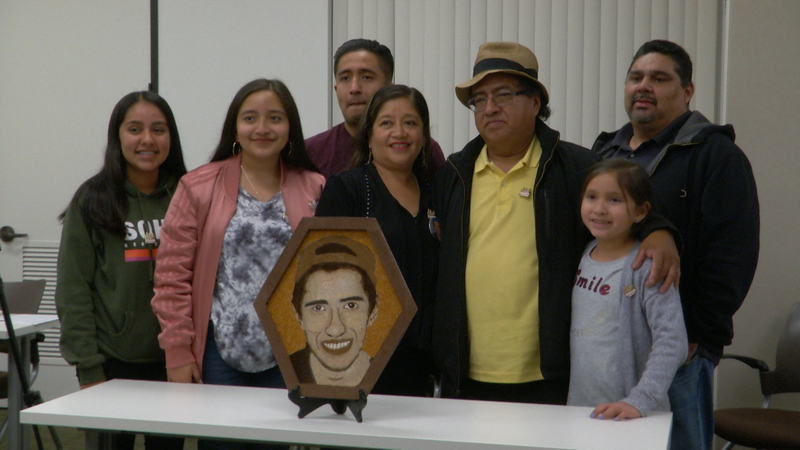 OneLegacy held an event at Henry Mayo Newhall Hospital to honor an organ donor, Alexander Sonora, who was treated here and members of Alexander Sonora’s family. He will also be honored with a floragraph on the One Legacy Rose Parade float. Alexander Sonora was a good soon who was very loving to his family. From the age of 12, Alex had a passion for photography. He would ask his mother for her camera, climb onto the roof at night, and take photos of space, the moon and the stars. Alex’s teachers shared that he was one of the best photography students in his class. He was also a creative artist known for his graffiti art. Alex was only 21 years old when he died in a car accident on November 30, 2011. Alex’s family never spoke of death and organ donation, but once Alex was declared brain dead, his family thought about organ donation and how this opportunity would save the lives of others and honor Alex’s legacy. The family felt that donation could serve an example to show others how good can come from a tragedy by helping those in need. Alex saved four lives through his organ donation. His family has had the honor of meeting Alex’s recipients. Through his donation, his family has participated in many events to honor Alex. By participating in the Donate Life Run Walk and decorating the Donate Life Rose Parade float, his family feels they are able to share Alex’s story with others. Alex’s family has been able to support other donor family families in their grief journey through their participation in support groups. Alex’s mother, Margarita, creates tissue paper flowers and gives them to people in her community as a way to educate them on the importance of organ, tissue and eye donation. Although Alex, who was very studious and bright, could not obtain a business degree to help his family because of his sudden death, he was able to help others in a different way: through the generous act of organ donation.